You can also use TempElert Standard or Spectrum to send alarms on power failure with this optional accessory. 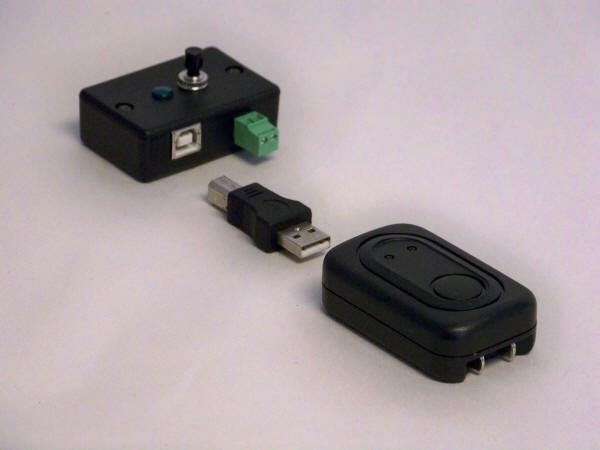 This accessory for the TempElert software (Standard and Spectrum versions) is designed to connect to a TempTrax model E4 or E16 remote temperature logging device to give an indication of an AC power failure that can be sensed. The unit is designed to detect short duration power failures of ~ 250 milliseconds as well as long duration power failures. The accessory is designed to plug into a 120VAC electrical outlet and the optically isolated (for safety) signal for power failure is carried through a twisted pair wire to the one of the channel terminals of TempTrax model E4 or E16 unit. The TempElert software can be configured to detect this channel as a switch closure, where normally closed means the AC power is OK and an open condition would indicate an AC power failure had occurred. 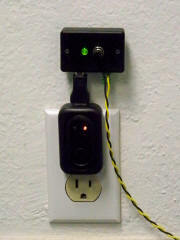 For safety, the power failure detector is electrically isolated between the AC power supply and the TempTrax device so that spurious power surges and/or lightning induced surges won’t connect with sensitive computer equipment. The PowerFAIL Detector works with any of the devices or software we sell and is fully retroactively compatible with previous versions. It is easy to add with about 10 minutes of setup time.